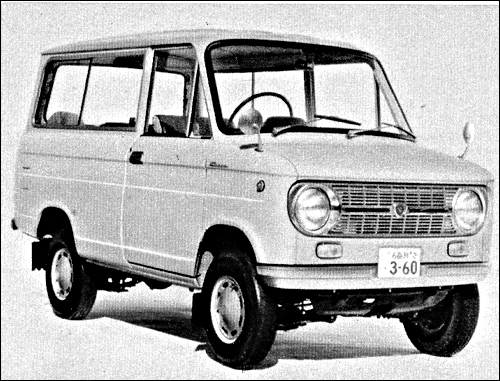 The 360 Van FE received another minor facelift in March 1968, becoming the FE3. 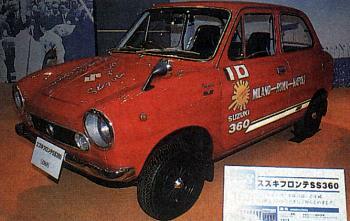 In November came the Suzuki Fronte SS 360 with 36 hp. The SS is the quickest kei-car yet, capable in reaching 400 metres from standing within 19.95 seconds. The car has different wheels and also features a rev counter. It was introduced with an unusual marketing stunt: racing driver Stirling Moss and TT-winning motorcycle racer Mitsuo Itoh were engaged to drive two SS Frontes (one red, one pale yellow) on a high-speed demonstration journey along Italy's 750 km (466 miles) Autostrada del Sole leading from Milan to Napoli. 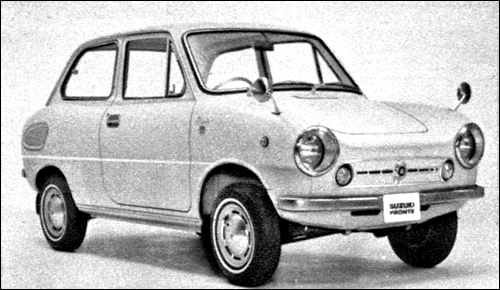 In the end, the average speed attained was 122.44 km/h (76.08 mph), respectable for a car with such a small engine. Suzuki bought former Japanese automaker Hope Motor Company.